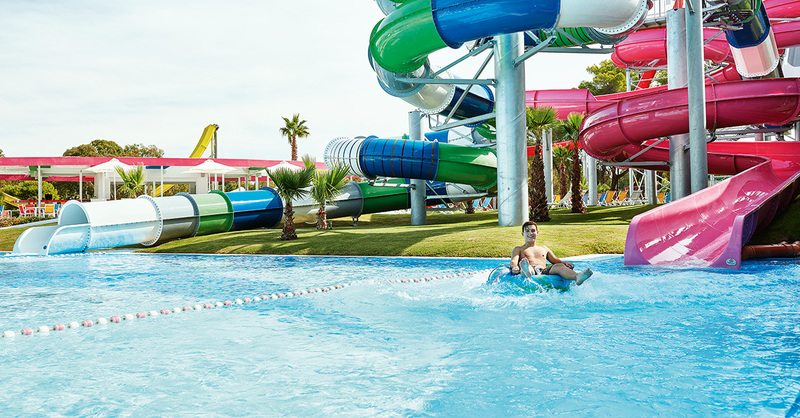 With its dedicated kids’ clubs – and a separate hang-out for teens, so the little ones don’t get in the way – open-air playgrounds, adventure pools with lazy river and water slides, paddling pools and shallow sea waters, Riviera Olympia is a dream destination for younger guests. Children love nature, so they will relish playing on a beach so pure that the endangered loggerhead turtles come ashore to nest. The thick, rolling sand is perfect for building castles. Mealtimes are a treat, too. Special children’s menus around the clock, homemade treats, and early sittings are just some ways we make sure that everyone enjoys their holidays. A multi-activity camp is operating for our younger guests during high season. 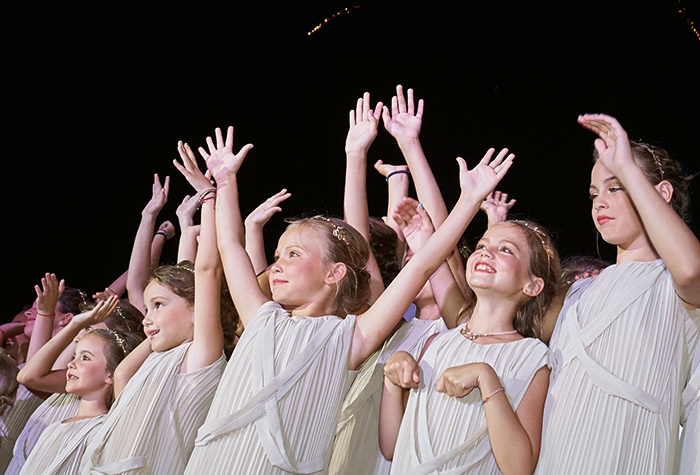 The 2 Grecoland Clubs at Olympia Riviera and Olympia Oasis, were created entirely with children in mind. Brightly coloured benches and tables, costumes, crafts, activities and competitions create a magical holiday experience. Pools, playground and endless fun make dreams come true! Children under 4 are welcome to use the Grecoland facilities but must be supervised at all times by a parent or guardian. From morning to night, there is plenty to keep teens occupied. From beach volleyball, basketball, football, tournaments, hip hop dancing, Greek dancing, safe internet surfing, parties and more. From 11:00 to 17:00 kids, mini buffets offer a constant supply of fresh, tempting food and drinks exclusively for kids (from 3 - 12 years age) at the Tasty Corner in the buffet restaurants. The solution to travelling with babies & tots! GrecoBaby has equipment including: cots; highchairs; trainer steps; potties; buggies; changing mats; training seats; bottle warmers; baby bathtubs; bouncy chairs; listening devices (some items incur nominal charge). Requests for GrecoBaby equipment should be made directly to the hotel prior to arrival. Celebrate your holiday with dance classes for every skill level at the Riviera Olympia.